Meet the world’s leading pipeline operators, planners, construction companies, technology suppliers and research institutes for FREE. 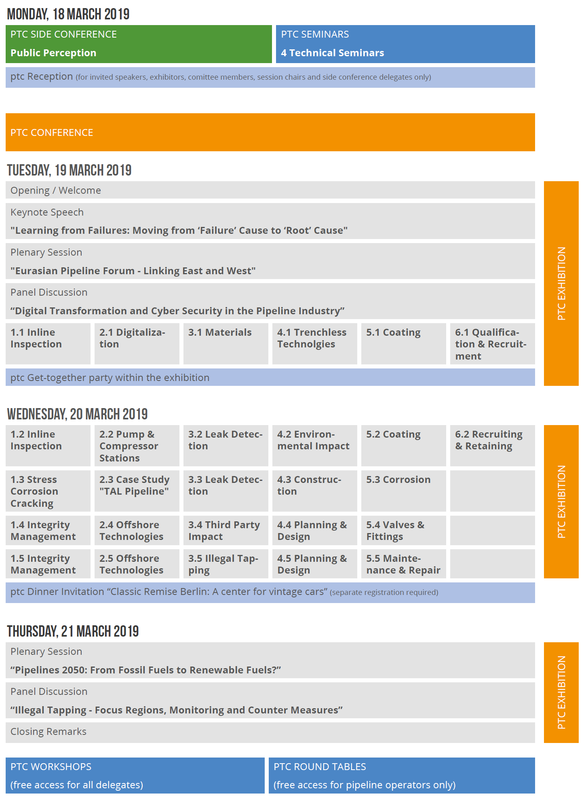 If you’re selected you’ll work for up to 3.5 days helping behind the scenes at ptc 2019, getting the possibility to talk to key persons of the international pipeline industry. This is a great opportunity to learn more about this exciting industry and to introduce yourself to potential employers. Please send a brief informal application + your CV to ptc@eitep.de (until 31 January 2019 the latest, earlier application is recommended).